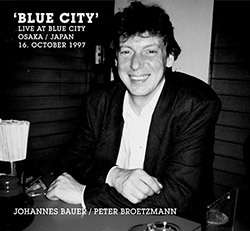 Powerful and diverse duo recordings between trombonist Johannes Bauer and Peter Brotzmann on tenor & alto saxophone, Tarogato, & clarinet, recorded in Osaka, Japan in 1997, released as a tribute to Bauer, who passed away in 2016, part of Brotzmann's archive of unreleased material. 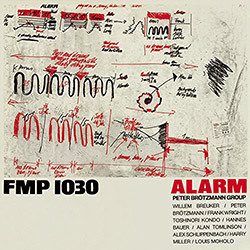 Peter Brotzmann's 9-piece ensemble for the 164th NDR-JAZZWORKSHOP with the South African rhythm team of Harry Miller (bass) and Louis Moholo (drums), plus Frank Wright & Willem Breuker(sax), Hannes Bauer & Alan Tomlinson (trombone) and Alexander Von Schlippenbach (piano). 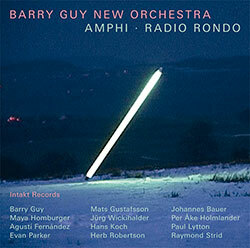 Two major works from bassist Barry Guy using unique compositional strategies, written for a large ensemble that inclues Evan Parkers (sax), Hans Koch (bass clarinet), Herb Robertson (trumpet), Johannes Bauer (trombone), Paul Lytton & Raymond Strid (percussion). 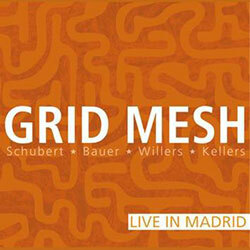 Germany's Grid Mesh (Frank Paul Schubert-saxophones; Andreas Willers-guitar; Willi Kellers-drums; Johannes Bauer-trombone) performs suspenseful, multi-dimensional improv with a fascinating blend of acoustic & electric sounds, here captured live in Madrid, 2011. 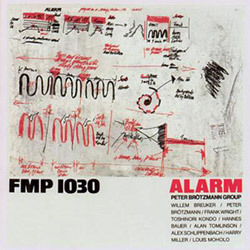 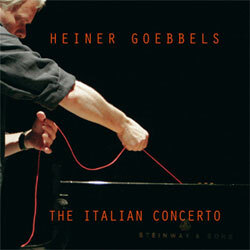 A rare release from a pioneer of contemporary cross-platform composition, with Chris Cutler, The Icarus Ensemble, Sira and Boubacar Djebate, Johannes Bauer, Tiziano Popoli, &c. &c.
Intricate and sardonic covers from Doc Chad's studio (+ one live track) aided with vocals from daughter Lizzie and new instruments including the Greek baclamel.